This particular Giants team is one of my favorites in Giants history. It’s not simply because of the stellar pitching or because of Melky Cabrera or Buster Posey’s play, but the personality and character of this team is remarkable. This is a team full of fighters, believers, and hard workers. This is a team that the average sport’s fan would want to watch and would want to root for. I would enjoy more than anything for this Giants team to win the NL West (by edging out the Dodgers for the title) and making another World Series run. With the trade deadline approaching, do the Giants have enough though to make another World Series run? It’s not clear at this point. Let’s examine the Giants’ season so far. Let’s first discuss the pitching. Everyone and their mother knows how fantastic the Giants’ starting rotation has been this year (with the exception of Tim Lincecum). The fact that three of the five starting pitchers for the Giants could have easily made the All-Star Game is impressive in itself. 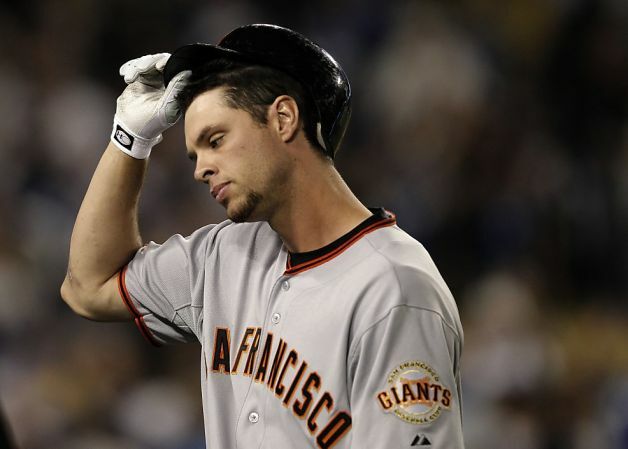 So far this season, Madison Bumgarner has a 3.10 ERA, Matt Cain has a 2.74 ERA, and Ryan Vogelsong has a 2.26 ERA. In 2011, Barry Zito had a 5.87 ERA, and this season, he has improved his ERA to 3.75. Who would’ve thought that Tim Lincecum would’ve been the odd man out with a 5.88 ERA this season? Lincecum is battling a severe mental struggle right now as he tries to get out of his pitching funk. Lincecum has not been able to put together three quality starts in a row at any point this season, and that is for sure concerning. The Giants are 6-15 in Lincecum’s starts this year, and that is one of the most important statistics involving Lincecum right now. The Giants bullpen has been stellar as usual, but they have had their ups and downs. The true star in the Giants bullpen has been Sergio Romo. Romo has been the most consistent pitcher for the Giants this whole season with a 0.60 ERA, 35 strikeouts, 8 walks, and 14 hits allowed in 30 innings. Romo should’ve been an All-Star and probably should be named the Giants closer for the rest of the season, because of Casilla’s inconsistency. Giants’ GM, Brian Sabean, will try to acquire another pitcher for the bullpen before the trade deadline, but the pitching staff is already solid. Giants fans received a lot of criticism (especially from Mets fans and management) about “stacking the vote” for starters for the NL All-Star team. I can understand that Pablo Sandoval didn’t exactly have All-Star numbers coming into the All-Star game, but Cabrera, Posey, and Cain all deserved to start at their respective positions, no doubt. There was no “stacking” for those particular players, because they are simply just the best at their positions, like it or not. The Giants players accounted for 5 of the 8 RBI’s in the All-Star Game, and, in addition, Matt Cain threw two scoreless innings to start off the game. Sandoval hit his first triple of the year and batted in three runs for the NL. Did he not deserve to start the All Star Game? Maybe, but he came through for his team and is a huge reason why the NL has home-field advantage now in the World Series. 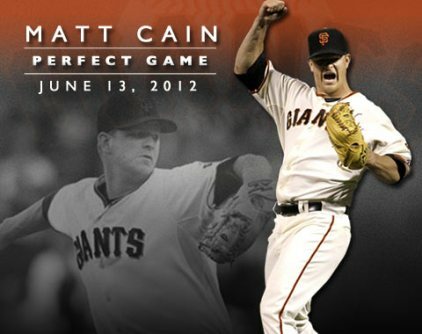 Cabrera, Posey, and Sandoval are the core of this offense, and Matt Cain is the ace of this pitching staff. To see these four players represent the Giants was quite incredible as a fan. Bochy has tweaked the lineup a little recently, inserting Nate Schierholtz into the leadoff position and playing Sandoval at 1B and Arias at 3B. Regardless, the Giants have struggled all season with finding a consistent player for first base. Aubrey Huff is injured and wasn’t starting even when he was healthy, Brett Pill was sent back to the minors, and Brandon Belt has shown flashes of brilliance but, generally, has shown inconsistency as well. The front office wanted to send the message at the very beginning of the season that they wanted to have more youth on the team and that they would stick with their young players, even while knowing that they are prone to offensive struggles during the course of a season. It seems as though Sabean and Bochy should stick with their plan and, therefore, stick with Belt at first base. Unless they are willing to play Sandoval at first base and find a replacement at third base via trade, Belt is the best option. Belt cleared up to the media and the fans in a recent blog post that he still remains confident and that he believes in Bochy’s coaching strategies. Sabean and Bochy need to decide if they want to play Posey at first base more and start Hector Sanchez more at catcher, start Sandoval more at first base, or stick with Belt at first base, because Belt going to the minors is not and should not be an option. This potential move would negate everything that Giants management has said since the beginning of the season. So who should the Giants target in free agency? Sabean has made it pretty clear that they will not be going after any big-name players, because they don’t have the financial resources to do so. However, Sabean will most likely go about this free agency period like he did during the 2010 season. He will target some pitchers for the bullpen and one or two bench players who will add more depth and versatility to the team. With these possible additions, it seems as if the Giants will be able to make it into the playoffs (through winning the NL West title or one of the two possible Wild Card spots). The Giants will need to improve their overall batting average with runners in scoring position and they will need to address Lincecum’s problems at some point, whether they like it or not. They need to be practical about his current mental approach to games and how inconsistent he can be not just game-to-game but inning-to-inning. If Bochy started Brad Penny one game and skipped one of Lincecum’s starts, that would send a clear message to Lincecum that this issue is on him. He needs to figure it out himself, because at this point in the season, it’s purely mental. If Lincecum can maintain a 4.00 ERA or lower throughout the rest of the season and if the Giants improve their clutch hitting with runners in scoring position, they have an excellent chance of being successful in the playoffs. I feel as though I am finally mentally ready to discuss this season’s NBA Finals. To be honest, the result of these NBA Finals made me become, for one of the first times in my life, speechless. I was in a state of shock, disbelief, anger, and confusion all at one time. I didn’t know what to say to people about it, I didn’t know what to think, and I didn’t know how to adequately and respectfully display my emotions surrounding the result of the Finals. I had a hypothetical sports quarter-life crisis, and I wasn’t sure if I’d ever be able to write about what happened. After time to analyze and fully reflect on the situation, I can finally write about my thoughts. The Miami Heat won, and not to sound even more dramatic, but I feel extreme disappointment and, frankly, embarrassment to be a passionate basketball fan. You might ask why I would feel embarrassed. This post will explain my emotions. Growing up playing soccer and basketball, I learned about the rules, the strategies, and the competition involved with sports. I learned how to do a drop kick, how to do a header, how to shoot a free throw, and how to get into triple threat position. What I didn’t notice at the time though is how much I learned about how to work with others. I learned that playing like a team and playing unselfishly leads to the best results. However, being a team and knowing how to play like a team is a complicated task. It requires self sacrifice, compromises, and immense respect for others; all traits that might not make sense to a seven year-old. Competitive sports taught me some of my most important life lessons though. I was taught to believe in the team and not the individual. I was taught that a team grows together and every player’s performance improves as the team grows. A team is most successful when every player contributes in some way and every player is thought of with equal importance towards achieving a goal. When I first started playing basketball at the age of 11, I tried to improve my own game by watching some of favorite NBA players like Kobe Bryant, Jason Richardson, and Vince Carter. I remember how fun it was to watch some of their highlight moves and tricky shots. Despite that, some of my favorite sports moments though were watching teams like the San Antonio Spurs or the Detroit Pistons win an NBA championship, because they were the best examples of a true team. They relied on both their superstars and their bench throughout the regular season and the playoffs to accomplish what they did, and I admired that. As a Giants fan as well, I witnessed some of the best team play I’ve ever seen when the 2010 Giants team won the World Series. Obviously baseball is a lot different than basketball in terms of team dynamics, but the fact that the Giants didn’t have one superstar on their team, and that they won because of their relentless pitching and the immense importance of every player on the roster, was beautiful to me. They had unexpected heroes come through in unexpected times, and even though Buster Posey, Aubrey Huff, and Freddy Sanchez were some of their best hitters that year, they weren’t the only reason why the Giants won the World Series. With this Giants team, I saw some of the same sports principles that I learned growing up being executed in professional sports, which made me love sports even more. The reason why I was embarrassed when the Miami Heat won was not because of my bitterness towards LeBron James, but because it defied everything I believed in about sports. Sports are so great because they display individual talent and teamwork at the same time. It doesn’t matter to me that Shane Battier and Mario Chalmers occasionally stepped up in the playoffs. 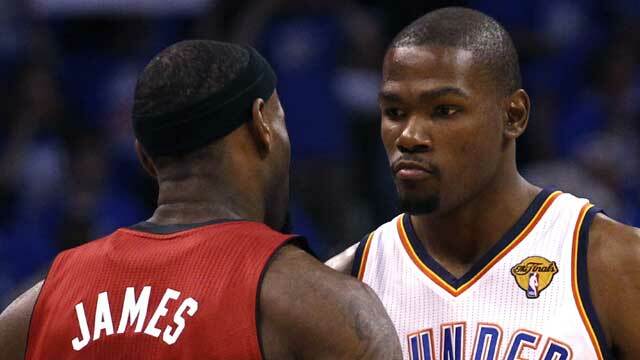 The Miami Heat are centered and focused on LeBron James, Dwyane Wade, and Chris Bosh. 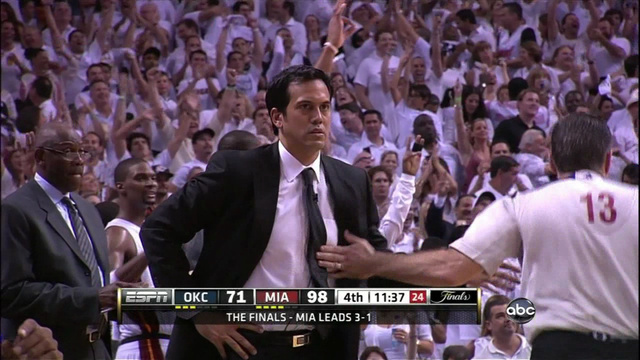 The Miami Heat are a product of collusion and manipulation of the system. David Stern should be ashamed that he allowed this team to “magically form on its own” and then later veto Chris Paul’s trade to the Lakers, because he didn’t want another big market team getting a superstar. LeBron James had to find two other superstars to play with, because he was never able to win a championship by himself. With the Cavaliers, all the focus and attention was always on him, and that’s just the way he liked it. In LeBron’s world, everything is all about him. He didn’t want to play for a real team, because he’d have to sacrifice his own numbers. After he helped orchestrate the formation of the Heat, he wanted to paint the illusion of a team, but he still wanted all the credit for winning a championship. He should be happy, because he finally succeeded in winning a championship and getting all the credit for it. The Miami Heat simply let their superstars shine and let some other bench players come along for the ride. This is not how sports should be played. It was a shameful display of winning, and, honestly, the fact that the Miami Heat won the championship tainted my view of the NBA. I’d like to dedicate the rest of this post not to the 2012 NBA champions, but to the Oklahoma City Thunder. The Thunder deserved to win the title because they showed that teams can still be constructed the normal, right way. This team was built through the draft and even though they have two superstars in Kevin Durant and Russell Westbrook, they still always displayed team basketball, no matter what. They relied on James Harden, Derek Fisher, Thabo Sefolosha, Kendrick Perkins, and Serge Ibaka just as much as their superstars in the regular season and the playoffs. They have developed their own style of play based on the players they have. The Thunder are the perfect example of a team. They didn’t collude or manipulate the system to make their team. Also to be noted, there was never any speculation as to whether or not they paid off the referees in the Finals (see picture above). They had a successful season because they didn’t depend on just their superstars to produce results. The Thunder hit a cold streak at the wrong time and played a “team” in the Finals that had good luck handed to them at all the right moments in the playoffs. 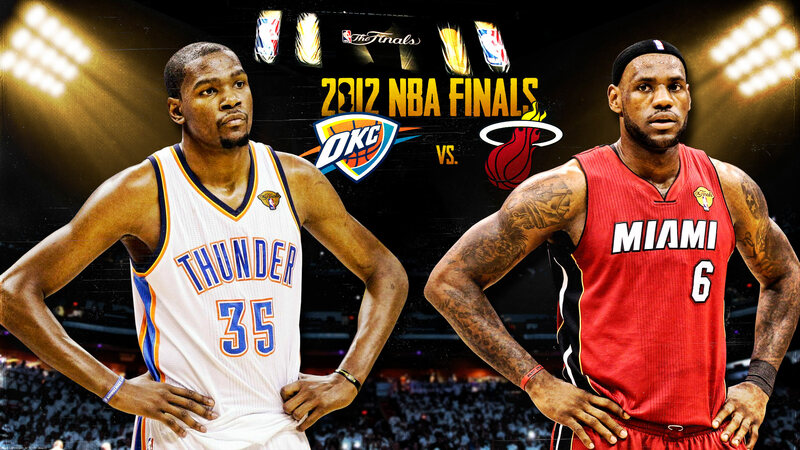 Congrats to the Thunder on their great season, and I hope to see them back in the Finals next year. 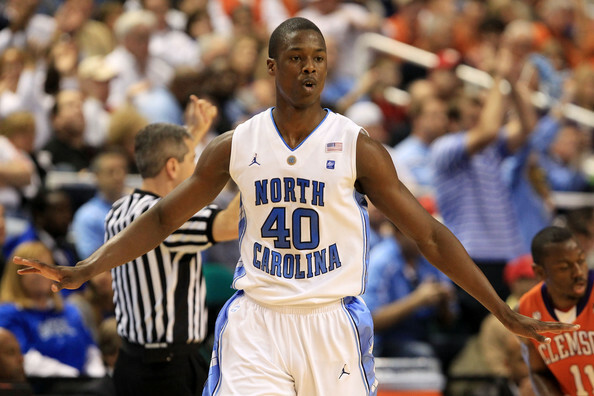 On Thursday, June 28th, the Warriors selected Harrison Barnes with the seventh overall pick in the NBA Draft, Festus Ezeli with the 30th pick, Draymond Green with the 35th pick, and Ognjen Kuzmic with the 52nd pick. 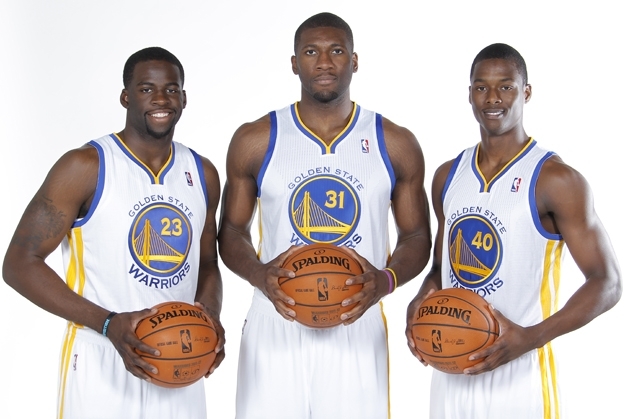 Barnes is a 6’8″ small forward from the University of North Carolina, Ezeli is a 6’11” center from Vanderbilt, Green is a 6’7″ forward from Michigan State, and Kuzmic is a 7’0″ center from Clinicas Rincon of the Spanish LEB Gold League and a native of Bosnia and Herzegovina. 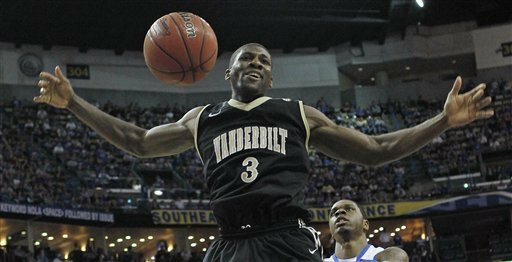 Ezeli played all four seasons at Vanderbilt, and he broke the university’s all-time record in blocks as he recorded 204 blocks in his career. 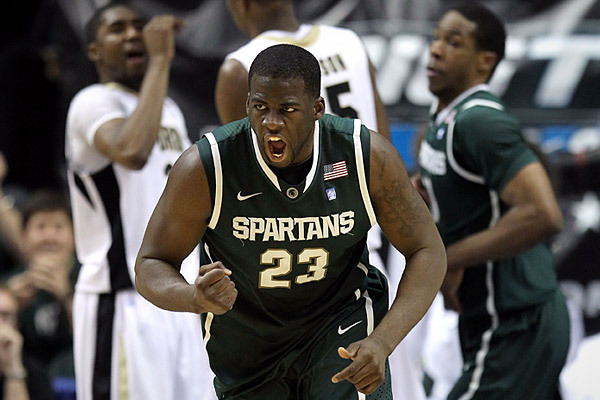 Ezeli’s junior season was his best season when he averaged 13.0 points and 6.3 rebounds while he set another single-season school record with 2.6 blocks per game. During his senior season, Ezeli sprained his MCL and PCL in his right knee, so he wasn’t able to produce at the level he had hoped for. Despite this setback, Ezeli’s character is quite admirable as well. Warriors general manager, Bob Myers, said about Ezeli, “I will tell you that after five or ten minutes with Festus, you’re going to walk away impressed… Festus, all that he’s gone through and all that he’s accomplished, academically, athletically, it’s bar none, so we’re thrilled.” Ezeli was born in Nigeria and came over to the U.S. to live with his uncle in Sacramento after he graduated from high school at the age of 14. He came in pursuit of a medical degree, but he quickly developed a love for basketball. Kuzmic averaged 10.6 points, 8.4 rebounds and 2.2 blocks, shooting 53.7% from the field over 37 games with Clinicas Rincon last season. 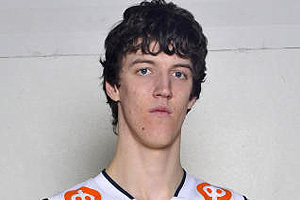 During the 2010-2011 season, Kuzmic averaged 10.6 points 7.9 rebounds and 1.9 blocks in 14 games with the KK Celik Zenica in Bosnia’s top league, D1. He is thought of as a project, and he is planning on staying in Europe to improve upon his game. The Warriors hope that he can join the team in a few seasons. Besides Kuzmic, since his future is uncertain, the Warriors’ three draft picks demonstrate a clear “culture change” by the Warriors towards a more high character, hard-working team. Bob Myers said about the Warriors’ three draft picks this year, “We feel like in this draft, like any type of employment, we hired three great people that are very skilled at their profession but also great character people.” Barnes could challenge Dorell Wright for the starting small forward spot, unless Wright is traded in the offseason. Ezeli is expected to challenge, but, ultimately, back up Bogut, and Green is expected to come off the bench as well. Whether these draft picks will truly help the Warriors in their areas of need and whether their play will result in wins is the real question. All three players have immense potential and, as some NBA analysts have said, could become better pros than they were college players. It all remains to be seen.